Just joined up,kinda hope that I win. LOve! What a cool giveaway! Just joined on facebook! Awesome! i now like thumbtack press on facebook! I already follow your lovely blog! (Don't mess around with the rest :( but will try to win some great art anyway! The White Fox Artwork by Paul Barnes caught my eye at Thumbtack Press! I follow your blog on GFC and like you on Facebook! I would love to win this! Thanks so much for the fantastic giveaway! Great giveaway, loving "Mariner" by RIKI BLANCO. Lots of great art. Followed Thrift Core on facebook. 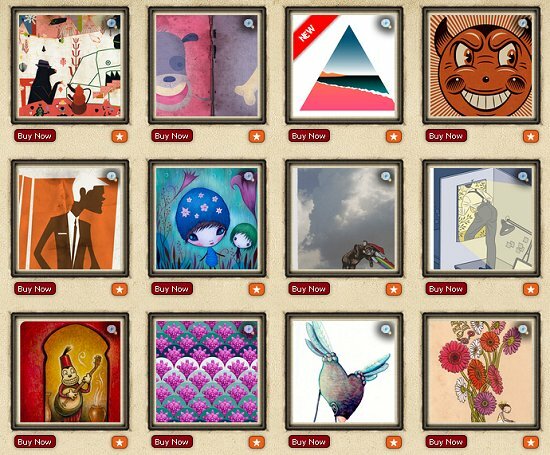 Facebook follower under Ingrid S.
I joined Thumbtack Press Facebook Page! Great giveaway. Love both this blog and thumbtack! Now following Thumbtack on Facebbook. I like their FB page as Danielle Villano! I love the print entitled Leaking Information by Nick Dewar! 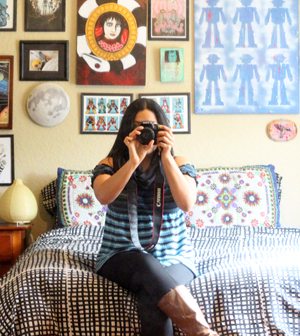 I follow Thumbtack Press on Twitter as @daniellevillano! Thanks! I follow your page on Twitter as @daniellevillano! I like the Thumbtack Press Facebook Page on facebook! I like Thrift Core on facebook! 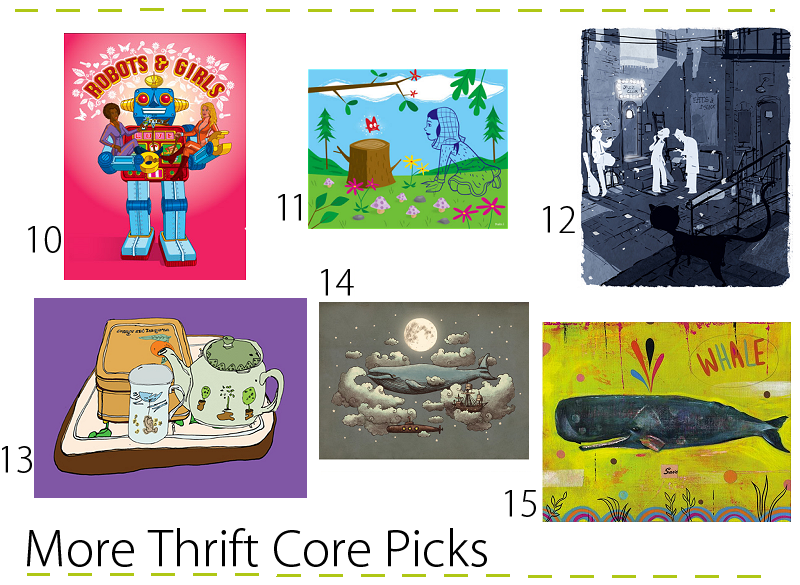 I am following Thrift Core on twitter! Wow-this is fantastic! One of my favorite prints is Cerulian. I liked Thumbtack Press on FB as Susan Chester. I follot Thumbtack Press on twitter as ptowngirl. 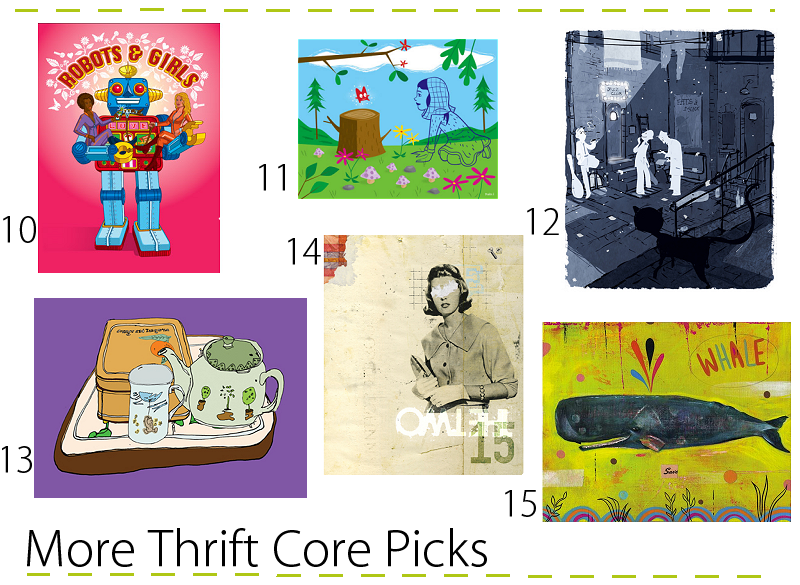 I follow Thriftcore on twitter as ptowngirl. I really like the Leaking print!